Ever wonder who grades your GRE essays? Both the Issue and Argument essays receive two scores, one from a human grader (“rater”) and one from ETS’s computer algorithm e-rater. In the event of more than a 0.5 point discrepancy between the scores, a third rater comes in and assigns a final grade. Who are the raters, anyways? GRE essay raters are overwhelmingly not full-time ETS employees. Most do their work for ETS on the side, paid an hourly rate to grade a high volume of essays. Imagine a never ending queue and your job is to knock off as many as possible as quickly as possible. Hence our advice to test takers: if you want to get a top AWM score, your essay needs to “pop” or make a strong impression quickly. One might be curious exactly how or with whom ETS needs to remain competitive, considering the GRE’s expansion into law school and business school admissions, but let’s leave the labor dispute to the adjuncts and grad students who work alongside the e-rater to grade student essays. Read below for more on what you as a student need to know about the rating system to achieve a top score. Communication is a two-way exercise. Without knowing something about your readers, you’ll rarely get your ideas across. Consider their goals and priorities and what motivates them. Depending on what your recipients value, your tone will change and so will your content. To make this easier, consider choosing an intelligent, non-specialist member of the audience — or invent one — and focus on writing for that person. Your message will be more accessible and persuasive to all your readers as a result. When typing onto a blank word processor in a testing center cubicle, it might be difficult to imagine a person on the other end who reads your work, but as the quote above notes, you might try to imagine a person for whom you’re writing. In fact, an “intelligent, non-specialist member of the audience” more or less fits ETS raters to a T. The GRE assumes no specialized knowledge for the Issue or Argument essays either on the part of the test-takers or graders. In other words, your writing needs to be compelling, lucid, and well-organized. How can you achieve these goals in a limited amount of time? As you write practice essays, focus on the key metric from each bullet point above. Your analysis needs to be complex. Maintain focus. Keep your essay organized. Vary your sentences. Employ precise vocabulary (not necessarily “fancy” words, but appropriate diction). Since we have an idea who the raters are, put yourself in their position. You have two minutes to assign a grade to your essay. How well do you think you did? What grade would you give yourself? You’re not on your own here. On our Free GRE Forums, we have an entire section dedicated to Analytical Writing. We encourage you to register and submit an Issue and Argument essay. We will provide detailed feedback as well as a score estimate. You can take this feedback and submit follow-up essays. We only ask that you do one at a time to give yourself a chance to receive feedback before submitting follow-up essays. 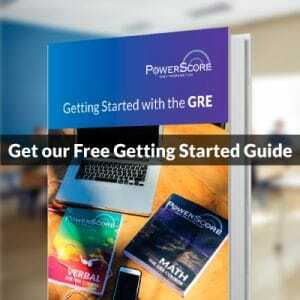 Your GRE essays are graded and assigned scaled scores. While the AWM is generally not weighted as heavily as are the Quant and Verbal scores for admissions, the AWM has at least one advantage over these other sections: it tests a skill that you will likely have to use frequently in grad school, writing. In addition, you can dramatically improve your AWM score just by practice. You may be surprised at how many students completely overlook the AWM and just try to “wing it.” With a modicum of effort, you can make a big difference in your score. 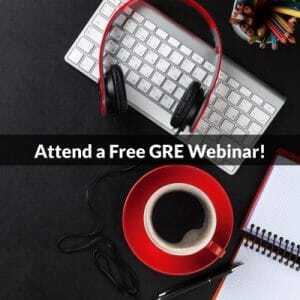 Join us on the GRE Forums, and don’t forget to register for a free GRE Webinar. Next Wednesday night, we’ll be covering Math Essentials. We hope to see you there!